So maybe you’ve just gotten into the HVAC industry and are ready to get down to the nitty gritty of day-to-day management. Or maybe you’re already churning out invoices and just want to be sure that they are as comprehensive as they can be (no shame in asking the internet, Smart Service has a whole blog dedicated to answering questions like this one and giving other general business advice). Either way, this article contains the advice you need (along with a free HVAC invoice template you can download, adapt, and use). What Is An HVAC Invoice? This might seem like a basic question, but understanding what an invoice actually is will solidify what you need most out of it. 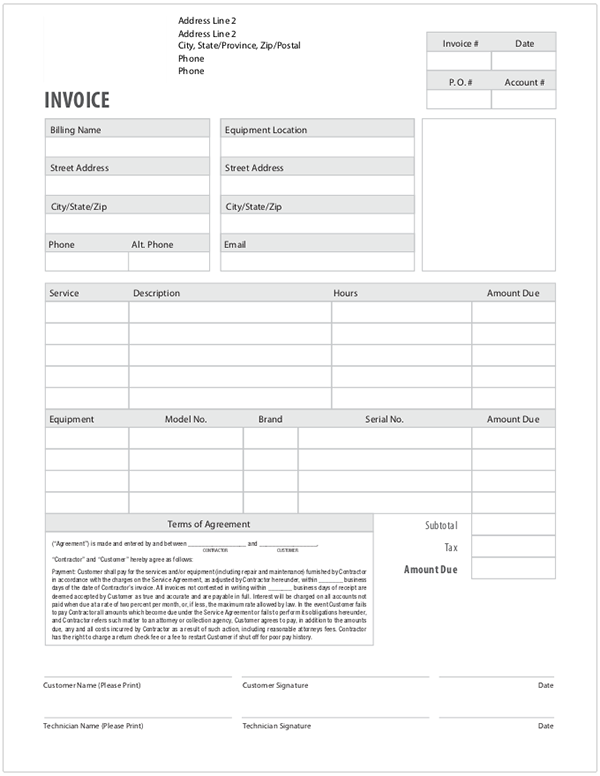 An HVAC invoice (also known as a receipt, bill, or sales invoice) is a document that itemizes and documents a transaction between a business and a customer. If goods or services were purchased on credit, the invoice usually specifies the terms of the deal, and provides information on the available methods of payment. While an invoice isn’t actually legally binding (unless you add a payment terms page), it’s definitely one of the most important documents your business is going to create. Below, we’ve listed the seven critical elements of a good HVAC invoice. We haven’t placed the items in any particular order, but would like to stress that each is pretty darn important to include on an invoice. With this sort of important information, it’s almost never “either or.” It’s always “and.” Anything beyond the points we’ve listed will come down to personal preference. In addition to basic customer information, you need the word “Invoice” clearly written on the top of your invoice. This seems super obvious, but it’s also extremely important, so we’re listing it anyway. When you present your bill to customers, you don’t want to leave any ambiguity regarding its purpose. If you don’t have digital filing that links to customer records (via an HVAC software system), then you’ll need a paper invoice, something you’ll have to file manually. Depending on your system, you may have to scan and file invoices (and other forms) multiple times. To avoid confusion and chaos, clearly label all of your documents. If you’re the only one in your company who can easily distinguish an invoice from a work order, you’re probably also the only one who can sort the paperwork. So make it easier on yourself and your employees and just clearly label everything. What was done while out on the job? How long did it take? Were any parts replaced? This can be as detailed or as simple as you’d like it, but you’ll want to break the job down into line items (which is just any service or product that can be broken down and listed separately). The main points you’ll want to hit are: name, date, and quantity. Name the service or part that was provided, list the date that it happened, and if anything was replaced, list the amount. 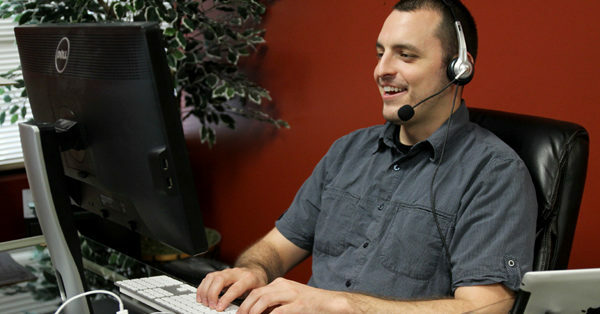 When you’re called to repair or replace equipment, you might have your technicians take a few before and after pictures for your personal records or to keep a more detailed customer history. It’s a good business practice to keep records of what you’ve done for customers and what the equipment looked like when you last visited. 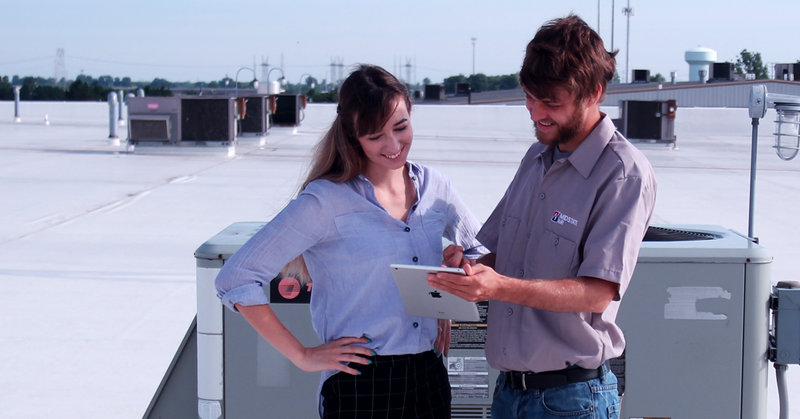 If you have HVAC software like Smart Service, you can take these pictures in-app and they immediately become part of your service and customer history. But if you don’t, you need a place to put those pictures and that place is your invoice. Thanks to the other information you put on your invoice you’ll know when the picture was taken, who took it, what job it was, and what was done. Much better than entering all that information twice. You also want to list the individual cost of each line item as well as the total cost of the entire service, along with any additional tax information. If any discounts or deals were applied, you might want to add a subsection or a note to show this. The total amount should be displayed somewhere clearly and noticeably. The recipient of the invoice should be able to find all important information as easily as possible. We know some people don’t do this as a matter of personal preference, but if someone calls a few weeks after a job asking about the amount that they were charged, having a detailed invoice that you can grab saves you a lot of hassle. These numbers are going to make your life so much easier. Or more accurately, the lack of these numbers could make your life so much more difficult. At first, you may think these numbers mere annoyances that add clutter to an invoice form, but they help with sorting, organization, and tracking. Along with each party’s respective contact information, you’ll want to include the date on which the invoice was issued and an invoice number or a purchase order number. This can be a simple file number, a unique billing code, or a date-based purchase order number, whatever your preference. Little details like these can mean the difference between getting paid on time and getting paid next quarter. PAYMENT: Customer shall pay for the services and/or equipment (including repair and maintenance) furnished by Contractor in accordance with the charges on the Service Agreement, as adjusted by Contractor hereunder, within (number of days) of the date of Contractor’s invoice. All invoices not contested in writing within (number of business days) of receipt are deemed accepted by Customer as true and accurate and are payable in full. Interest will be charged on all accounts not paid when due at a rate of two percent per month, or, if less, the maximum rate allowed by law. In the event Customer fails to pay Contractor all amounts which become due under the Service Agreement or fails to perform its obligations hereunder, and Contractor refers such matter to an attorney or collection agency, Customer agrees to pay, in addition to the amounts due, any and all costs incurred by Contractor as a result of such action, including reasonable attorneys fees. Contractor has the right to charge a return check fee or a fee to restart Customer if shut off for poor pay history. Keep in mind this is a basic example, and as I haven’t gotten my law degree yet, you might want to check with someone who has when you feel your business is in a good place to do so. This brings us to the last must-have on an HVAC invoice: a spot for signatures. At the end of the day an invoice is a record of a service that you provided and the customer’s acknowledgment of and agreement to pay for that service. A signature cements that idea. And if you’ve included a Payment Terms section, a signature turns an invoice from a record keeping piece of paperwork to an actual contract between two parties. Now we’ve come to the final step: making the actual invoice. Ta-dah! Already a Smart Service customer? Good news! The invoice above is 100% compatible with iFleet and Smart Service. Looking for something more specific? Smart Service customers have the option of hiring us to create HVAC templates (and any other fillable forms) for a small fee. To find out what your options are, give us a call at 888-518-0818. When creating an HVAC invoice, include these seven critical pieces of information.